Salmon is truly one of the most nutrient dense foods we could eat but not just any salmon; it has to be wild caught in order to reap the benefits of this wonder food. Salmon has been a staple in my household for a long time. I make it at least once a week in some form or another and actually notice a difference in the way I feel if a week has gone by and I haven't eaten it. Wild caught salmon is widely available in almost any grocery store or fish shop. But unless it is marked as being wild caught, ensure that you're always asking how it was raised. Generally all Atlantic Salmon is farm raised and comes from Canada, Norway or Chile. So if you see the name "Atlantic Salmon" that should tell you right there that it's not wild caught. Pacific Salmon is the one you are after. There are several types to choose from and include King, Sockeye, Alaskan, Coho or Silver Salmon, Pink Salmon. Omega 3 Fatty Acids: Salmon is one of few foods that has very high Omega 3s content. The reason Omega 3s are so important is that the body cannot produce them and they must be received through food. 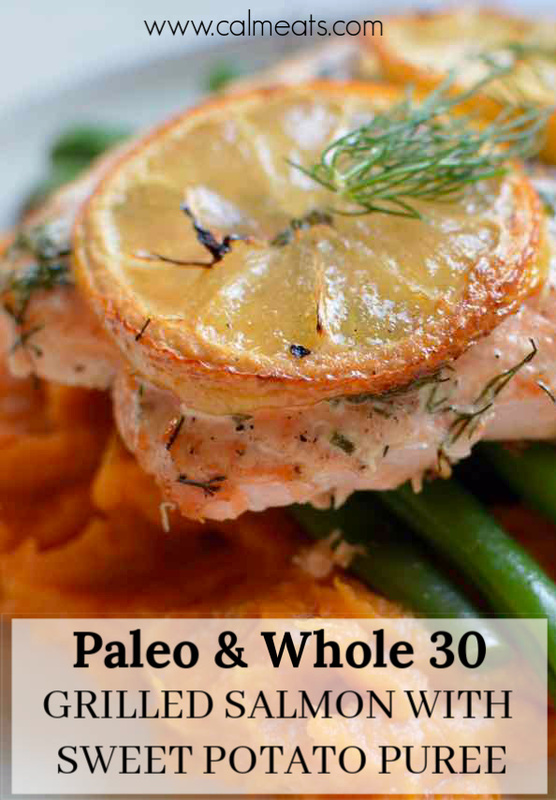 A good portion of Omega 3s comes in the form of EPA (eicosapentaenoic acid) and DHA (docosahexaenoic acid). Other foods matching salmon's high level of Omega 3s are Walnuts and Flax seeds. However, these contain alpha-linolenic acid (ALA) and not than EPA or DHA. DHA and EPA: Over half of the Omega 3s in salmon are made up of EPA and slightly less of DHA. These fatty acids are essential for optimal health. Our needs for DHA and EPA change throughout our life. From conception, women are told to supplement with DHA. This is essential for a baby's brain development and is crucial in the first years of life in order to optimize a child's brain function. As we get past the age of 5 we still need DHA but EPA seems to play a more important role in reducing cellular inflammation. The only way to control cellular inflammation in the body is to maintain a high level of EPA. Reduced Inflammation: I've beat this point to death and will probably continue to do so but inflammation is believed to be the root cause of all modern disease from cardiovascular disease to, Type 2 Diabetes, to Alzheimer's and cancer. Incorporating salmon as part of a regular diet can help keep inflammation at bay. Improved Cognition and Stable Mood: Consuming a diet that includes salmon helps improve cognition and mood and has shown to help in the areas of depression, mood disorders as well as protection against dementia related degeneration. Cut potatoes into one inch cubes and add to large pot. Cover with enough water to submerge potatoes and boil until soft. About 20 minutes or until fork tender. Meanwhile preheat grill to medium. Place salmon on foil skin side down. Season with salt and pepper and sprinkle with either fresh or dry dill. Cut lemon and add 2 slices to each piece of salmon. Transfer the foil with salmon on to the grill and grill for 15-25 minutes, depending on the thickness of your fish and depending on how you like it. Add water to medium pot and bring to a boil. Add beans and steam for 6-8 minutes, depending on how cooked you like your beans. Season with salt, pepper and olive oil and cover with lid to keep warm. Once the potatoes are finished boiling, drain and add coconut oil, cashew milk, cinnamon and syrup or brown sugar and salt. With a potato masher, mash the potatoes until everything is well incorporated. Alternatively, you can always add them to a food processor or standing mixer if you want them extra smooth. Add potatoes back to the pot and cover with a lid to keep warm. Once salmon is cooked, assemble by making a bed of mashed sweet potatoes, add a few of the beans and place the salmon on top. Garnish with dill and serve.